Perhaps it’s no surprise that not one but two women-led movements took home the gold at this year’s global contest, Solution Search: Climate Change Needs Behavior Change. As the Global Fund for Women declares, “Women’s movements have become stronger, more global, and more inclusive than ever before.” And the impacts of various women’s movements are inspiring—from the first International Women’s Day in 1911, which sparked an international women’s movement, to Rachel Carson’s activism that ignited the contemporary environmental movement, to climate activist Greta Thunberg’s incredible and unrelenting advocacy to make people care and feel the need to act on climate change. With evidence of impact, and with greater awareness about climate change’s disproportionate impacts on women, women’s movements of all kinds matter more than ever for the environment. 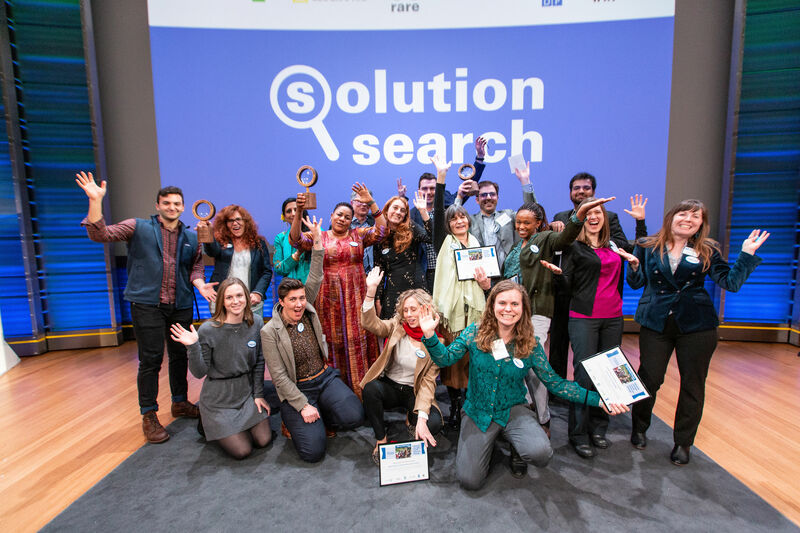 Solution Search is an innovative contest created by Rare to identify, reward, and spotlight what is already working in conservation and development. This year’s contest, Solution Search: Climate Change Needs Behavior Change, partnered with National Geographic, Conservation International. The Nature Conservancy, the UN Development Programme, and World Wildlife Fund to find proven and promising solutions from around the world for motivating individuals, households, and communities to adopt climate-friendly behaviors and reduce greenhouse gas emissions. 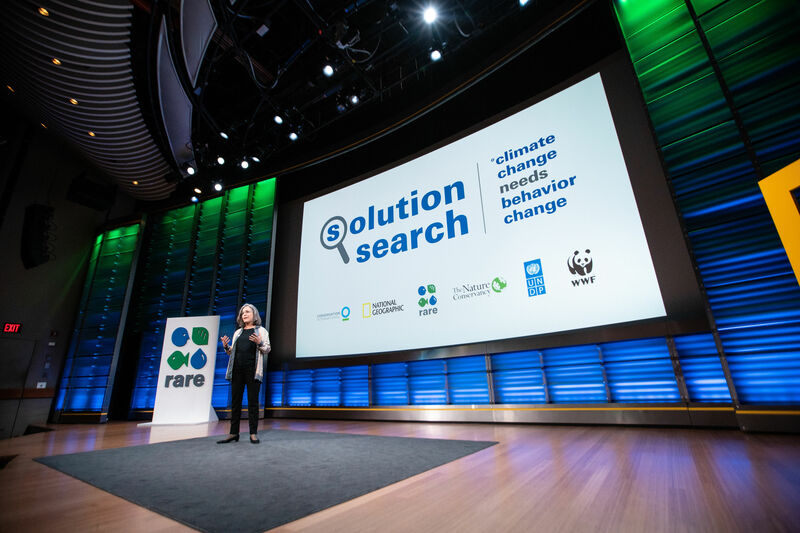 Paula Caballero, Rare’s Managing Director for Climate and Water, introduces the Solution Search contest at the BE.Hive: Climate Change Needs Behavior Change Summit. After a panel of judges narrowed the field of nearly 200 entrants to the Top 10 Finalists, Solar Sister and 1 Million Women took home the top two prizes: Solar Sister won Judges’ Choice award, while 1 Million Women won People’s Choice; Each award comes with a $25,000 prize. The Northwest Earth Institute’s EcoChallenge Platform took home the $5,000 Early Entry prize. 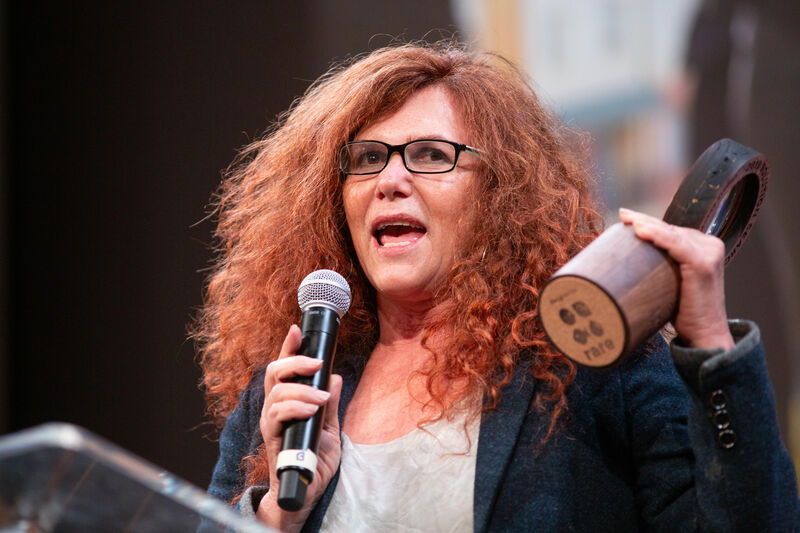 These awards were presented as the grand finale at BE.Hive: Climate Change Needs Behavior Change Summit, a day-long summit hosted by Rare and National Geographic that explored global climate change through the lens of human behavior. Solar Sister and 1 Million Women represent two different kinds of women-led movements that unify behind a common theme: globally elevating women’s rights, voices, and leadership. Solar Sister is a women-led social enterprise that recruits, trains, and supports women entrepreneurs to build businesses and bring clean energy to their off-grid communities in Africa. They have reached over 1.4 million people across Africa with solar energy and clean cookstoves and kickstarted a movement of over 3,400 clean energy entrepreneurs. Solar Sister’s Fatma Muzo accepts the Solution Search Judges’ Choice Award. 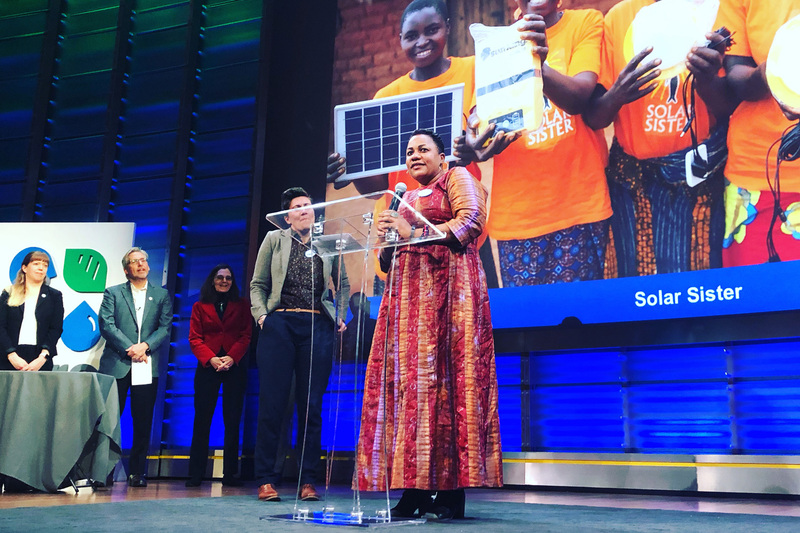 1 Million Women (1MW)—a global movement of women and girls that empowers women to fight the climate crisis by acting on climate change through their everyday lives—won People’s Choice. Self-titled as a “lifestyle revolution,” 1MW has over 800,000 members who have committed to living low-carbon lives; as of this writing, this group has already pledged to reduce 278,704,943 ton of carbon pollution. 1MW has numerous campaigns designed to encourage participation in the climate movement and help individuals reduce their carbon impact. Natalie Isaacs of 1 Million Women receives the Solution Search People’s Choice Award. 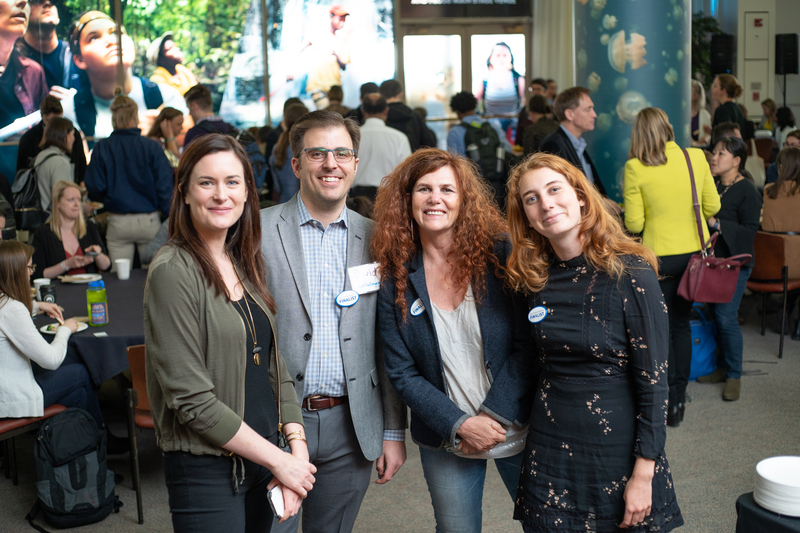 (From left to right): Katharine Wilkinson, Solution Search Judge and Vice President of Project Drawdown, David Macek, Executive Director at Northwest Earth Institute/EcoChallenge.org and Early Entry Award Winner, Natalie Isaacs and her daughter Che Hogarth of People’s Choice Winner 1 Million Women.